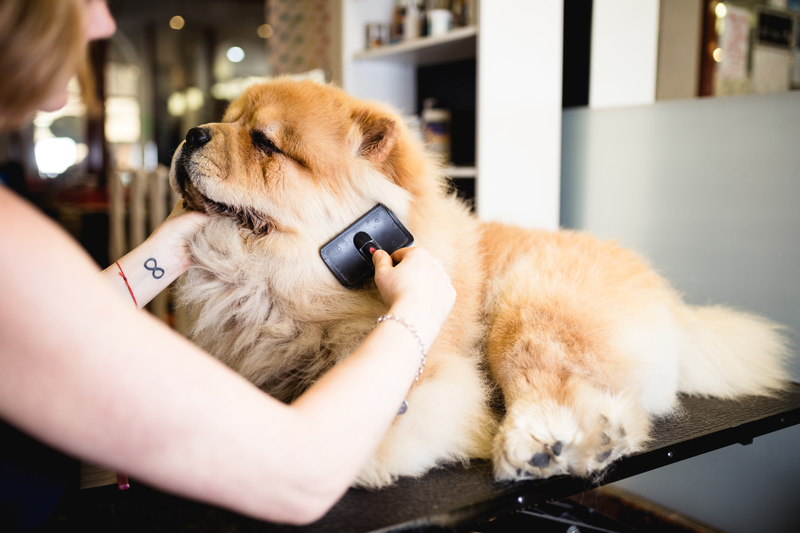 Dog grooming may be a great way of working on your pet’s appearance, but it also plays a key role in maintaining their health. Regular visits allow professional groomers to check on the state of your dog’s coat, skin, ears, and feet. They keep your dog clean while ensuring they’re in good shape. Here is a closer look at some of these benefits. If you’ve ever tried to comb through tangled hair, you’re probably familiar with the discomfort that rough tugs of a brush can cause. Mats and tangles form in fur that isn’t regularly groomed, particularly in breeds with long, thick, or curly coats. This, in turn, leads to redness and skin irritation, which can easily be avoided with dog grooming. The best dog groomers are thorough in their work. They’ll check your pet’s skin for unusual bumps, scratches, injuries, parasites, inflammation, and any other observable abnormalities. You can then report their most concerning findings to your veterinarian at your next appointment. Every dog has some level of dandruff, dirt, grime, and loose hair scattered throughout their coat. A good brushing session gets rid of any debris that may be making them uncomfortable. Your groomer may also come across flea dirt and inform you of the need for treatment. Long, untamed nails can do a lot of damage to your dog’s feet. Uneven and excessive growth shifts their posture, resulting in damaged foot structure, pressure on joints, and a painful gait. Additionally, your dog will be more likely to scratch and hurt themselves. Although they may not like the process, keeping their nails clipped is a necessary precaution. Just like humans, your dog secretes natural oils that benefit their skin and hair. Brushing and combing help spread these oils throughout their fur, giving their coat the healthy, beautiful sheen associated with a good dog grooming session. With a freshly groomed coat, your pet will look and feel fantastic. Is your furry friend in need of some pampering? Bring them to Dogtopia of Highland Village, where every pet gets the royal treatment. Based in Denton County, TX, this dog grooming facility prioritizes the health, comfort, and hygiene of their clients. They provide a wide range of grooming services, including ear cleaning, tooth brushing, nail trimming, and bathing. Learn more about their offerings online, or call (972) 264-1178 to set up your appointment.